Every insurance customer wants one thing from their insurance agent; responsive service. When a client needs something they want it done quickly. Most agents think they need to be personally involved with every aspect of a transaction with their clients. They struggle with letting someone else assist with the service experience. This feeling is magnified with high net worth clients because of the importance of the relationship in maintaining these accounts. Today, relationships are still critically important, but clients are expecting their insurance agent to provide service in a modern way. Whether that is directing them to a registration page to setup their online account, filling out a digital quote form, or engaging with a voice application through Amazon’s Alexa, they want the experience to be easy and fast. Agents who work with, or wish to work with high net worth clients should utilize technology wherever they can to enhance their client service experience. Technology is transforming the insurance industry by taking out-dated procedures and digitizing them. Auto insurance quotes can be delivered by scanning a license plate, renewal reviews can begin with digital questionnaires, and claims can be settled in seconds. These are examples of service experiences that are available today. They are also examples of various strategies agents and insurance companies can implement to differentiate themselves. Digital forms are an easy and quick way to improve the client experience. As long as the forms help high net worth individuals receive responsive service, they will fill them out. 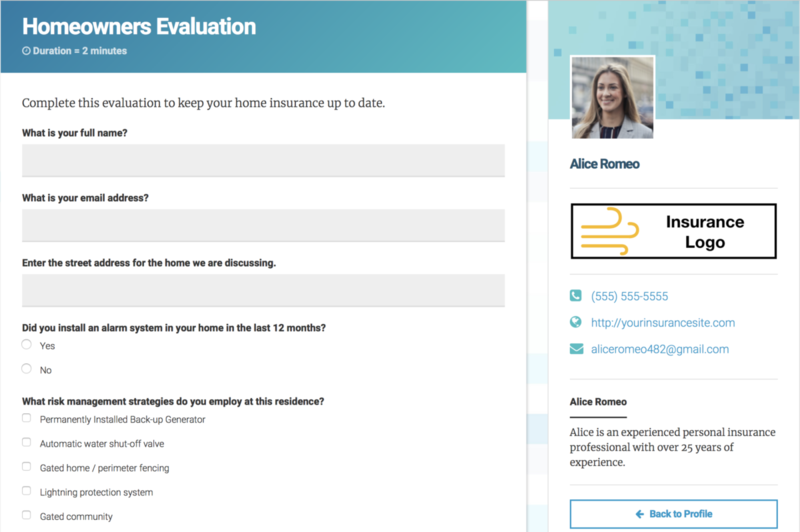 In the end, the client will save time, the agent will save time, and the task the digital form is meant to help with will be done with significantly less friction. Kurt Thoennessen, CAPI is the Founder of RiskRevu.com. He is also a Personal Risk Adviser for successful Individuals and Families. Use RiskRevu to put client renewals and engagement on autopilot.